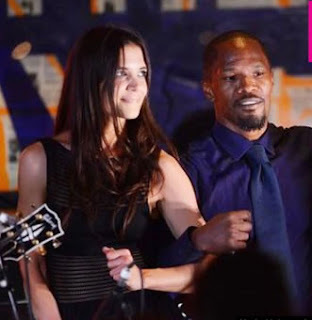 StarollyNews: Katie Holmes & Jamie Foxx: Did They Secretly Get Married? Katie Holmes & Jamie Foxx: Did They Secretly Get Married? Are wedding bells ringing? Katie Holmes and Jamie Foxx have reportedly been dating for three years under the radar and rumors continue to swirl that the pair secretly tied the knot! Now, the ‘All We Had’ actress finally revealed her relationship status! Katie Holmes, 37, and Jamie Foxx, 48, are often at the center of romance rumors, but now she’s finally given some insight to her romantic life. “I’m not married,” the actress shockingly revealed to The New York Times on Dec. 2. “But, thanks for asking!” We love how she still had a sweet response to a reporter questioning about her relationship status. However, fans will still have to wonder if the pair is exclusive or not, since Katie and her rumored beau Jamie have reportedly kept their connection under wraps for nearly three years. We guess time will tell!